Brunet-García has taken the Best of Public Service Charlie Award for the 100 Plates campaign, plus three gold and three silver ADDY Awards at the 2017 Fourth District American Advertising Awards. Eduardo Sarmiento and Aerien Mull of Brunet-García and Kedgar Volta and Joash Brunet of Castaño Group hold their awards. 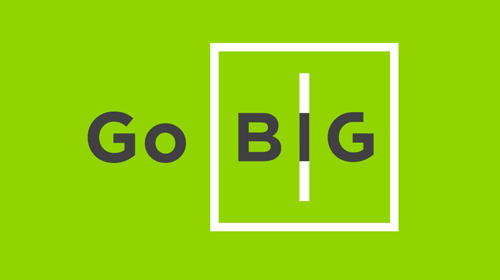 This comes after a big win in February at the local chapter competition and marks 53 District ADDYs for the Jacksonville-based advertising agency. 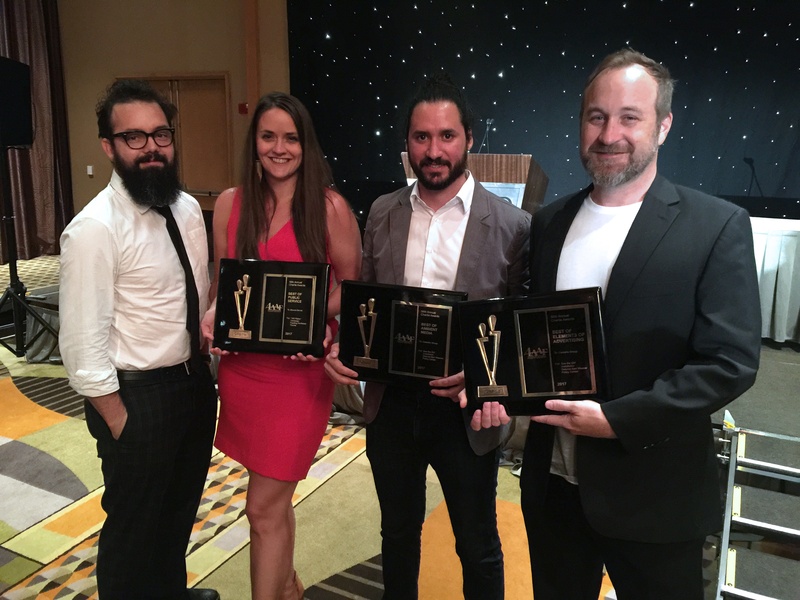 Members of the creative team attended the ADDYs gala last weekend as part of the district conference at the Conrad Hotel in Miami, Florida. The conference included notable speakers from top Florida advertising agencies and informative sessions related to digital creative technology and design. 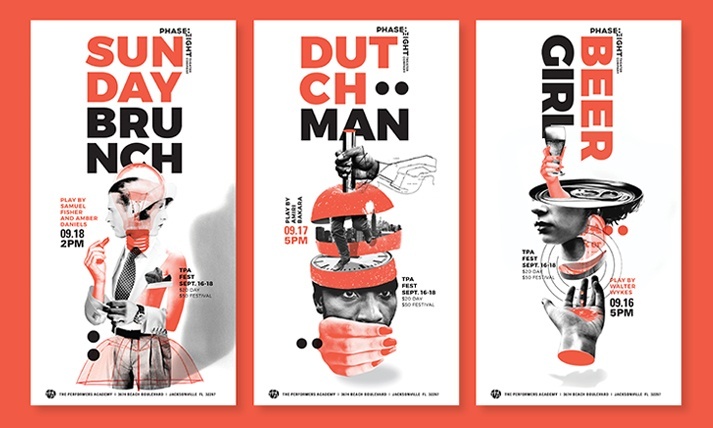 Conducted annually by the Fourth District of the American Advertising Federation, the district competition is the second tier in a three-tier, national competition and showcases winning creative work from agencies across Florida and the Caribbean. Visitors interact with the 100 Plates installation at the Jesse Ball duPont Center in December 2016. After winning Best of Show, four gold awards, and one silver award at the local level, the 100 Plates campaign has claimed the top honor of Best of Public Service at the district level. 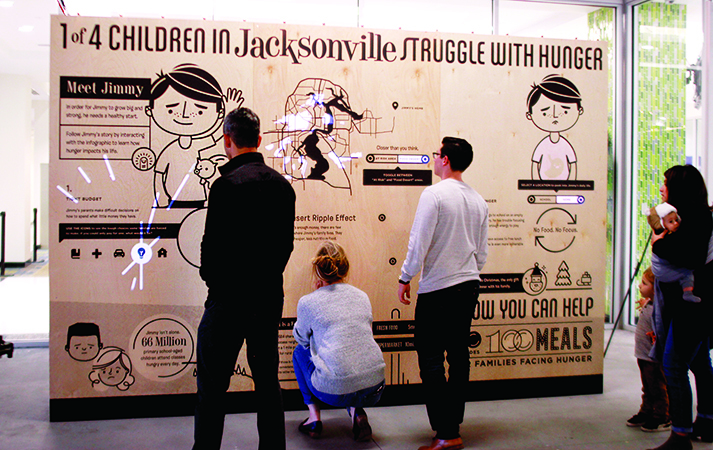 A joint project of Brunet-García Advertising, Castaño Group, and freelance writer Jack Twachtman, 100 Plates is an interactive storytelling installation aimed at raising awareness about the direct impact of hunger in Northeast Florida. 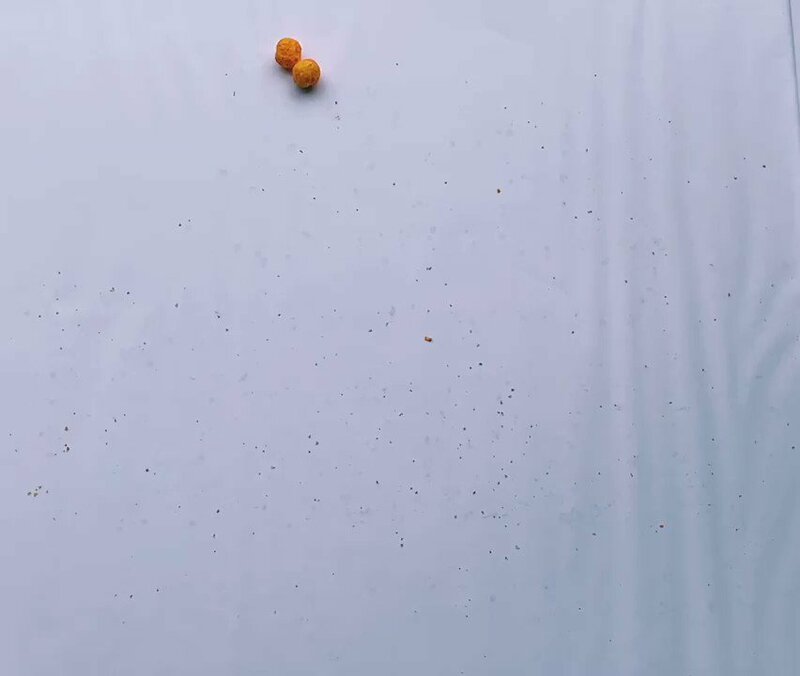 The installation featured both an art and interactive piece that helped connect audiences to the cycle of food insecurity that many children face daily. 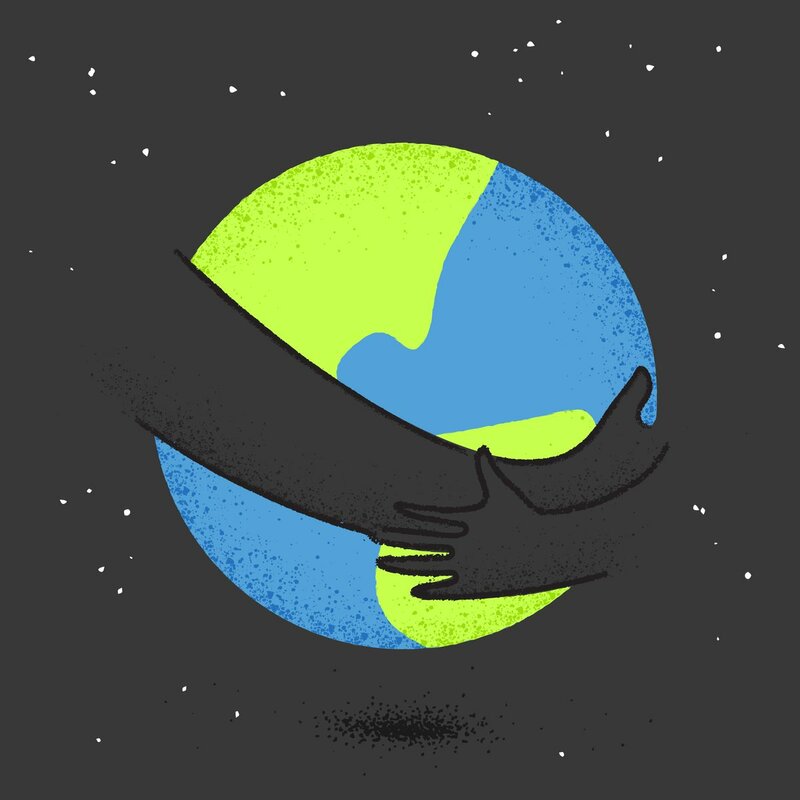 A fully integrated campaign with email marketing, social media graphics, and earned media outreach supported the initiative online, driving users to the donation page. 100 Plates took home a gold award for both Public Service Ambient Media and Public Service Integrated Campaign, in addition to its “best of” designation. Brunet-García’s work for the Jacksonville chapter of the American Institute of Graphic Arts (AIGA) claimed a gold award for the “Discover Design” logo. 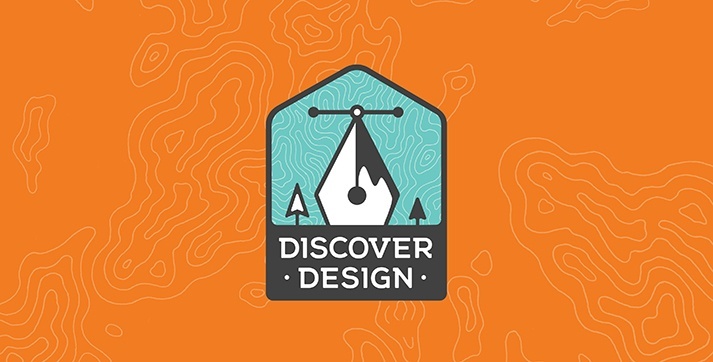 This mark, created for a summer-long program that pairs aspiring designers with a professional designer as their mentor, uses the Adobe pen tool and direct select tool to illustrate a camp-like mountainscape badge. The new look is representative of the exploratory nature of design and brings a new identity to the program. 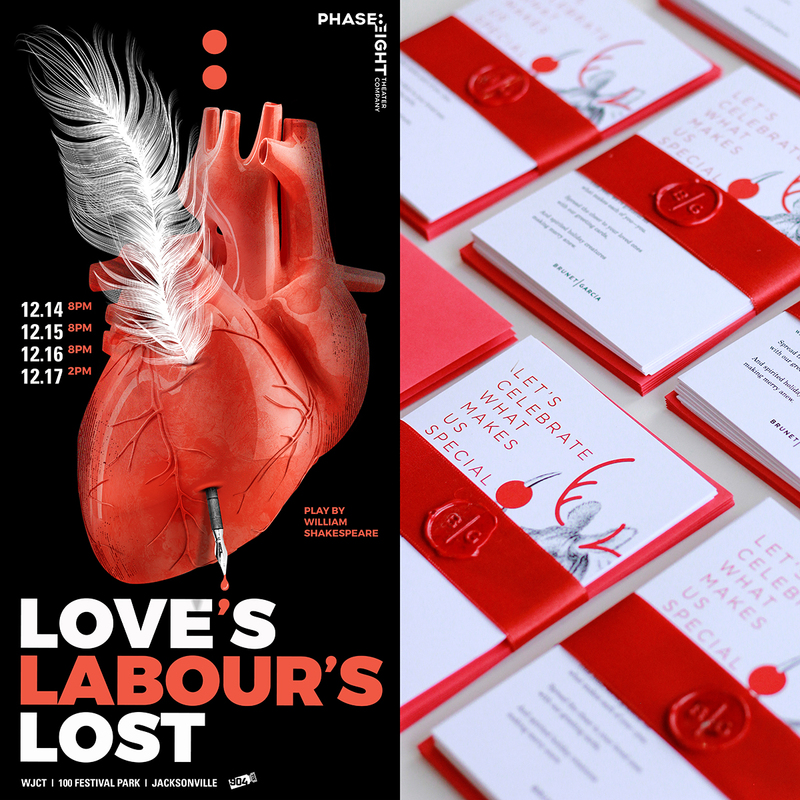 Silver Award honors went to the Phase Eight poster series, Phase Eight branding, and See the Girl campaign. The agency molded the identity of the First Coast Actors Center and renamed them Phase Eight. The new name reflects the theatrical company’s ability to evolve the seven essential elements of modern theater, and the visual identity uses positive and negative space to effectively “stage” varied imagery with its logo mark. 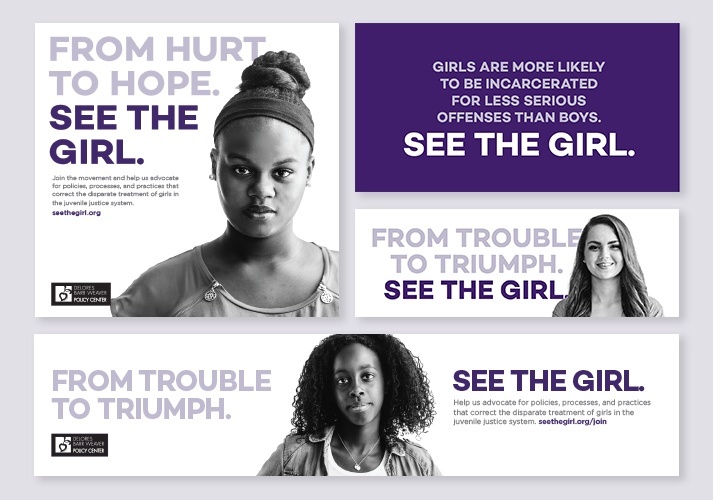 The Delores Barr Weaver Policy Center’s “See the Girl” community engagement campaign aims to raise awareness and generate action to address the challenges young women face in the justice system with an understanding of the trauma that many of the girls have endured. Brunet-García developed this campaign to display the faces of girls who have been assisted by the Center’s programs. Projects that have been awarded district-level ADDYs will now move on to the national AAF competition in New Orleans this June. The American Advertising Awards, formerly the ADDYs, is the advertising industry’s largest and most representative competition, attracting more than 40,000 entries every year in local AAF Club (Ad Club) competitions. The mission of the American Advertising Awards competition is to recognize and reward the creative spirit of excellence in the art of advertising. At #BrunetGarcía, we are driven by a passion for sparking positive change in our world. #BrunetGarcía celebrates #NationalCheeseballDay every day. We consume them by the jugful to fuel our creativity.